Spring spinach (Spinacia oleracea): growing, planting, caring. You'll often hear myths about spinach making you stronger. Luckily for us, it's easy to grow, so we can eat as much as we like without a lot of effort! Here we're talking about spinach that is planted in the spring. Spinch is an annual with thick, alternate, arrow-shaped leaves attached to straight stems. Spinach blooms with greenish flowers in midsummer. Sow in open, cool, neutral soil with small amounts of clay in partial shade, adding a green fertilizer if you hadn't the previous winter. Sow in shallow grooves spaced 20 cm apart. Cover with a little soil, then water with a fine mist. If you're sowing in a pot, choose a rich potting soil and sow along a single groove. Continue as if you we're working in open soil. Mulch between rows after thinning them out, saving you time on watering and weeding. Water especially after the sowing and during summer. Water twice a week for the first month. 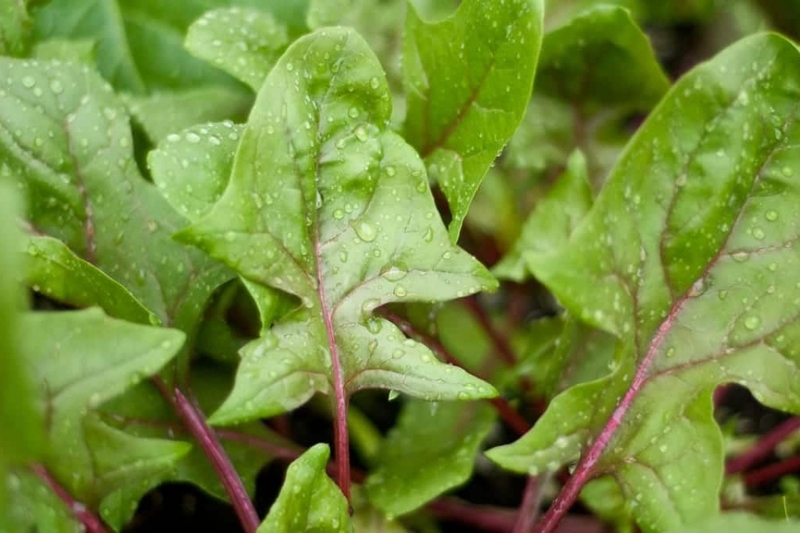 Then, your spinach will only need to be watered during summer or during dry periods, so that it goes to seed slower. Don't tire yourself out. The rest of the time, watering only causes disease! If potted, water twice a week in the absence of rain. Weed from time to time, especially in the beginning, and even more frequently if you don't mulch! Harvest as needed by cutting the leaves down to the soil, starting two months after sowing. Don't let your spinach go to seed, as the leaves will become overly tough. After harvesting, there's not point in hoping for more — spinach is an annual, so you'll have to sow again next year! You can leave the remains to compost in place.